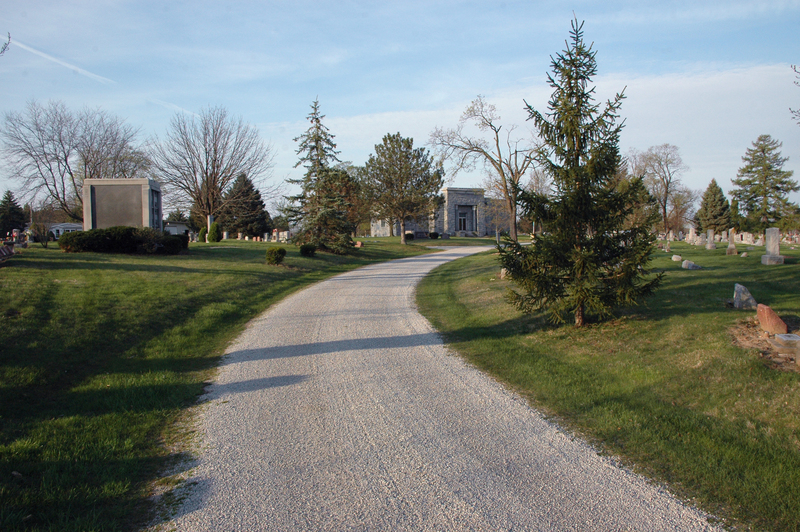 A few weeks ago I was out to Greenlawn Cemetery doing some research. As I was driving around I came across the tombstone that has a Civil War soldier standing on top. This time I stopped and walked up to him with camera in hand. As I looked him over I began to wonder who this man was in life. I took several pics and started to dig into anything I could find on William Laudahn. Sadly there isn’t much of a paper trail that he left behind. But what I did find I wanted to share with you. I have to say here I have a lot of respect now for William. William Laudahn was born in Ludwigslust – Merkenburg Germany on Nov. 21st 1832. I couldn’t find anything on him in Germany other then he was in the German Army for several years before leaving and coming to America. Many of the records of this time were destroyed due to World War II and the bombing of Germany. William would come to America in 1859 with four brothers and a sister. He would leave behind a brother and sister in Germany. (These two left behind I couldn’t find much on other then that they both lived long lives and died in Germany). William and his siblings would settle around Columbus. During this time the Civil War would break out. William went and signed up and was mustered in March 9th 1863 in Camp Dennison Ohio into “The 8th Independent Ohio Volunteer Sharp Shooters”. There first assignment was to help break up some violent protestors in Holmes County. Many enrolling officers were under attack and had to be under armed guards while being processed in Homes County. 70 armed insurgents had had a fight recently with the marshals and rescued several of their comrades from the marshals. The marshals had reported to John Mason commander of special forces at Columbus that an estimated 700 – 900 insurgents were in the process of banding together and needed to be stopped. The marshals requested that at least 300 soldiers and 5 days rations be sent to them. This force would accompany a U.S. marshal as a posse to end the violence in Holmes County. The Governor of Ohio sent along with the soldiers a proclamation stating to disperse. If the insurgents surrendered no further military action would be taken. If the insurgents refused ” They should be attacked with the utmost vigor, captured or killed at all hazards to provide a sufficient lesson to all rebels at home”. The Governor sent 410 federal troops including 50 Sharp Shooters with William being one of these sharpshooters. As the advance team moved ahead they were ordered not to shoot until the Governors proclamation was read to them under a flag of truce. But the advanced team was attacked by at least 22 rebels hiding behind log + stone barriers. Firing went on for a short time before the rebels gave up and ran not before two of them were captured. But as they moved up the road another round of gunfire came at them from the fields this time. Again gunfire was exchanged until the rebels fled. As the guards were dispatched they took a few more prisoners as the disorganized rebels fled in all directions. The soldiers would find the rebels gathering spot and camp there overnight. The rebels totaled in all around 80 compared to what they were told to be around 700-900. Luckily only one would be killed in this skirmish. Although William would be in battles in Tenn during the Civil War I couldn’t pinpoint any of his actual battles that he was involved in. But I did find a little bit of info near the end of the Civil War. Seems the sharpshooters at this time of the war were being used to guard prisoners and the generals. I came across a letter written by one of the men that was serving with William and his company. His name was Silas Boyer. It gives you a little insight on what it was like for the confederate army near the end of the war. Below is the actual words of the letter he sent that day. The prisoners nearly all were very poorly off for clothing and shoes. Sometimes I would get tired of marching through the mud and rain but when I saw the rebel prisoners and the greater part of them so very poorly clad and a great many of them old men borne down with age and some young boys going along without any shoes and seemingly without a murmur I would get ashamed of myself for thinking that I had a hard time of it. No army in the world is fed, clothed and paid like ours. The rebels see this, and it makes them still more dissatisfied with their condition. They all want peace and would gladly accept it on most any terms. Many of them say they don’t want to be exchanged if they have to go back to the rebel army. They prefer remaining in the North and living among the hated Yankees to being starved in the Confederacy. They are getting their eyes opened and by the time the next campaign is over there will be few left anywhere to oppose the Union army. S. M. Boyer, Sergt. 8th Ind. Co. O.S.S. 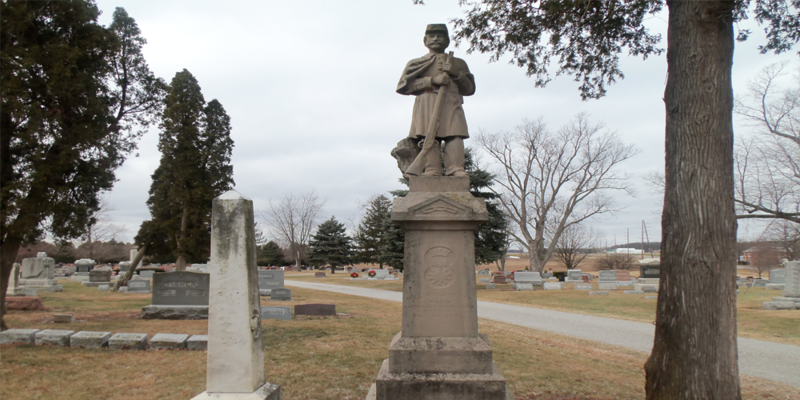 William would muster out of service July 19th 1865 and return to the Columbus area. His company would loose 3 in battle and one would drown in the Cumberland river. In the Columbus area he would meet a older lady named Sarah Hetrich ( 9 years his senior) whom he would marry. They would shortly after move to Mercer county along with some of his siblings. William and Sarah would then move to Auglaize County near Fryburg and start a farm. Sadly Sarah would die Jan. 5th 1875. But William would fall in love again shortly after with another lady named Mary Maurrer who was 9 years younger then him. They would marry May 31st 1876 in Auglaize county. William & Mary would continue to live on the farm for some time raising livestock and crops before moving into Wapak. William & Mary would end up buying a house at 411 West Benton St and spend the rest of their lives together there. William would end up taking a job as a local merchant until his retirement. In my research I couldn’t find where we was working at or what he actually did. On May 31st 1913 William would die in his home. He would live to be just over 82 years old with Mary by his side. I went to the library and went through the old newspapers on microfilm of The Wapakoneta Democrat and The Republican and found Williams obits in both papers. Back then they would go into detail on the cause of death. To read his obits broke my heart. Williams death did not come easy by a long shot. I will quote here what the obit reads. ” Mr. Laudahn had been helpless for a number of months suffering from the effects of paralysis and other infirmities due to old age. His eyesight failed some months ago and this ailment added to with paralysis and other complications made his suffering intense. Death relieved him at 12:40 o’clock Saturday morning”. William never had any children with either of his wives which ends the paper trail when he died other then his will in which he left everything to Mary. But Mary didn’t want him to be forgotten and had this beautiful monument put up in his memory at Greenlawn Cemetery. Today the monument still looks awesome. The detail is just amazing even after 103 years since his death. On his monument there is a symbol of a medal in the stone. In doing research on it and asking my Facebook followers to the best we could determine the medal is for “The Fraternity of Odd Fellows”. I didn’t research this fraternity to much but mainly their beliefs stem from the holy bible. William must have been one great and brave guy. He fought in two wars in two countries. He left his home country of Germany to pursue a better life in America. I only wish there was more info of his life in Germany because I think there is a whole lot more to William than any of us will ever know. But I’m still happy with the little I found on him. I now know a little bit of the man that stands on such a beautiful monument overlooking Greenlawn Cemetery. I for one will look at his monument in a whole new way the rest of my life when I am out at Greenlawn. It truly was an honor to me to be able to learn about William Laudahn and who he was. So ends the history lesson about William. As I looked around the cemetery there were several other unique stones that made me wonder who the person was buried there. As I get time I want to study some of them also. The next one I’m really interested in is a stone that has this beautiful dog resting on top of it. The stone has a females name that died in the early 1900s.